Over the course of our experience, we have seen digital channels grow from being a “perhaps we include?” option to a “we must have!” necessity within a customer focused strategy. For us, these channels not only offer customers the chance to express themselves online, but provide our Clients with an opportunity to engage in a way that they have never done before. To help guide our Clients through the maze of online communication channels, our Digital Design solution explores the best options when our Clients look to engage, help and just say hello online. We offer support and guidance on how digital channels can be integrated into an existing customer service solution, or work in partnership to create a digital strategy that delivers a truly frictionless online experience. Following the successful launch of a Customer Relationship Center (CRC) for our Premium Automotive Client in China, we were targeted with helping them expand their footprint in a new marketplace. Their desire was to engage with their growing customer base online, whilst delivering a truly personalised and premium customer experience. To do this, we needed to look beyond the traditional and focus on developing a strategy that would align with the digital-savvy Chinese customer. Our approach had three key stages: initial research, developing an understanding of how a new customer strategy would complement existing operations, and planning ahead for the future. Several key areas of research would allow us to progress with the strategy. Initially, we needed to determine which stages across our Client’s customer journey could be enhanced with digital engagement. Then we needed to better understand the profile of their customers and determine which digital tools they would be likely to use, from those available to us in the Marketplace. 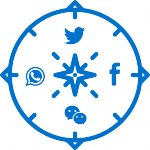 Our research led us to select WeChat as the digital channel of choice for our Client. After identifying WeChat as the channel of choice, we used this initial research to develop a “WeChat Customer Lifecycle”, which highlighted how the channel could be used across the key areas of the customer journey to meet the Client’s objectives. For us, the true value of digital channels can only be achieved if they complement all other forms of customer communication. Therefore, before recommending that our Client implement WeChat, we had to first ensure that the channel could be managed effectively within their existing CRC. This meant understanding the impact on the current team, identifying any gaps in existing processes or training and ensuring we could measure success in the best way possible. In the longer term, a digital strategy which not only aligns with existing customer operations, but also links together disparate elements of a business, can be of immense value. Therefore, to complete the Strategy for the Client, we looked to develop a way of linking together our Client’s key internal and external stakeholders using the platform. For example, a “WeChat Digital Eco-System” could potentially connect customers directly with Dealers, which would allow them to deliver a quicker and more personalised service when scheduling test drives or following up on maintenance. For our Premium Automotive Client, utilizing WeChat to engage with their growing customer base, aligned with their current CRC, would help them towards achieving long term success in a new marketplace. 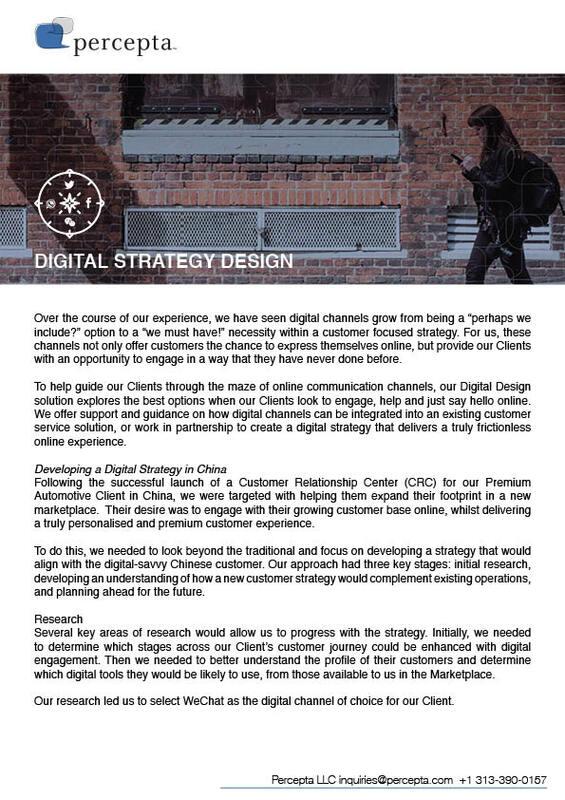 Our expertise in delivering frictionless experiences, coupled with our knowledge of the Chinese marketplace, allowed us to be true Trusted Advisers for our Clients.